Bargemusic has a full schedule of concerts this weekend. On Friday evening, January 17, starting at 7:00 there will be a “Here and Now” concert featuring works by Eric Ewazen, Manuel de Falla, Hoagy Carmichael, Duke Ellington (photo), Thelonious Monk, Lianna Gekker, and Wayne Shorter. On Saturday evening at 7:00 and Sunday afternoon at 4:00 there will be “Masterworks” concerts featuring works by Haydn, Beethoven, and Mozart. More information and buy tickets here. Saturday afternoon at 3:00 there will be a free, family oriented “Music in Motion” concert. Doors open at 2:30; first come, first seated. This weekend is your last chance to see the Heights Players production of Neil Simon’s Broadway Bound this weekend, with performances on Friday and Saturday evenings at 8:00, and a Sunday matinee at 2:00. There’s more information here. The Brooklyn Heights Cinema will be showing Inside Llewyn Davis, and Nebraska, and the Sunday kids’ movie, starting at noon, will be Puss in Boots. More details and showtimes are here. Visit the Brooklyn Historical Society to see their new exhibition, Brooklyn Abolitionists: in Pursuit of Freedom. More information and suggested admission prices (members are admitted free) are here. 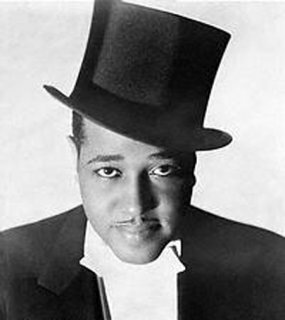 Duke Ellington image via A Boat Against the Current.